Hola! We are getting married in Cartagena 2/14/14 Im looking for honeymoon ideas either in colombia or any nearby islands. Any ideas?? 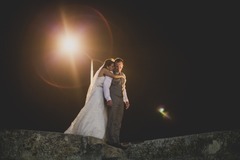 Anyone has a recommendation on a good wedding photographer in Cartagena?